The Halloween decorations all over the streets really brighten things up! I need to stock up on candy for Halloween night!! 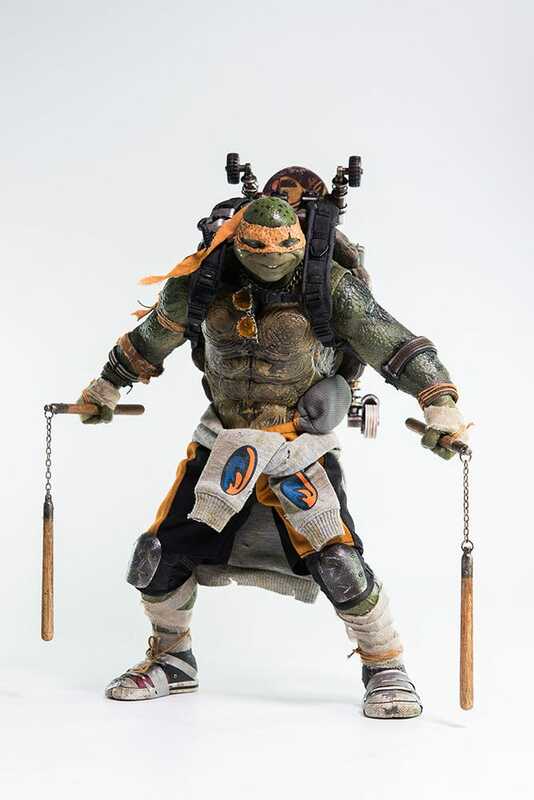 Today I’m going to be taking a look at this item by threezero, currently up for preorder! 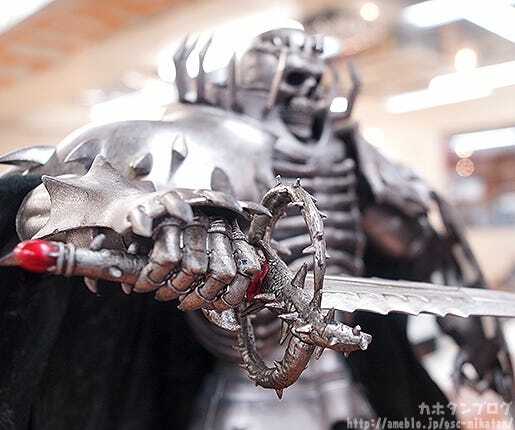 From the popular dark fantasy manga series ‘Berserk’ comes a second 1/6th scale figure from threezero – the Skull Knight! 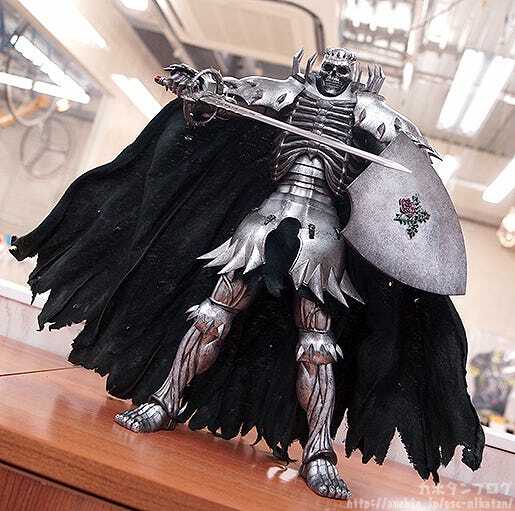 The mysterious, powerful warrior with the strength to oppose the Apostles and the God Hand has saved Guts a number of times, and now the ominous knight with more pride than you may expect has had his unique skeletal appearance faithfully preserved in figure form for fans to enjoy. 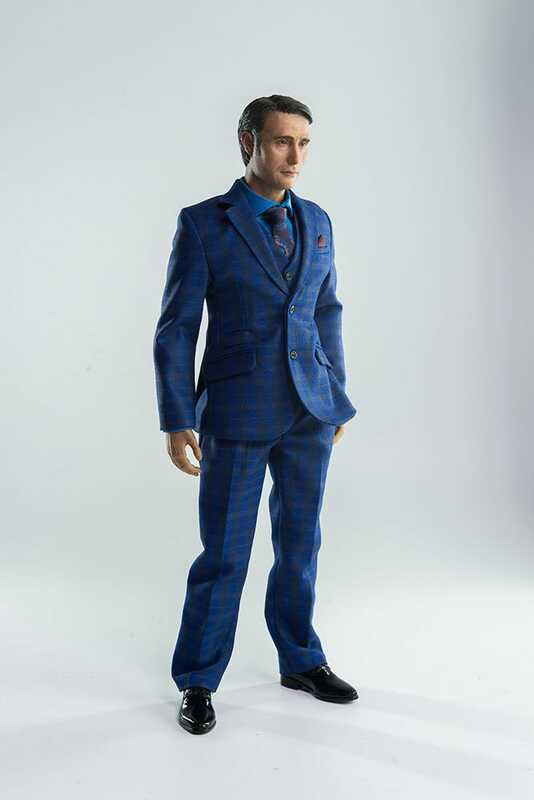 The figure stands approximately 35.5cm in height and is fully articulated. 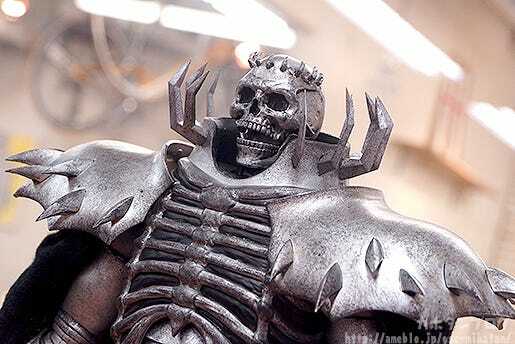 His skull armor features a realistic metallic paint application with a black wired cape for posing. His eyes feature an LED light-up effect. 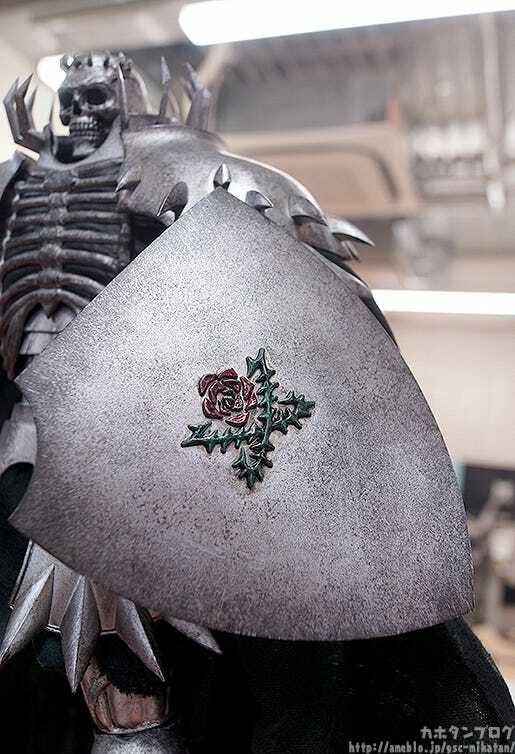 The Sword of Thorns, the Skull Knight’s shield with its rose design as well as six interchangeable hand parts are all included. The mysterious knight who wishes to get revenge against God Hand! 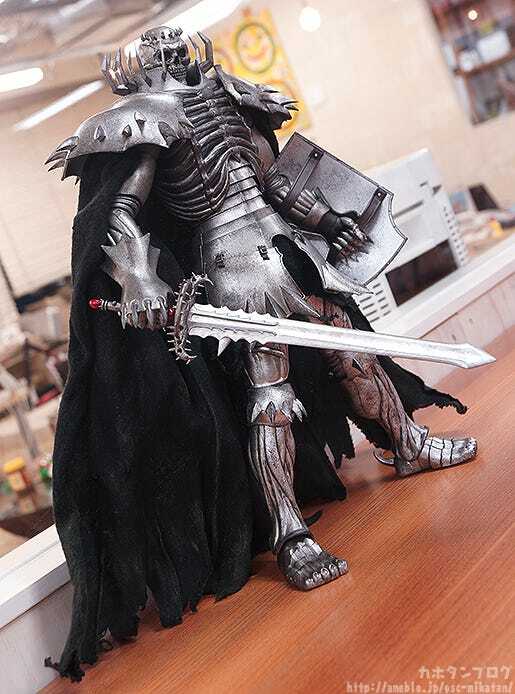 A fully articulated figure of the mysterious Skull Knight from the dark fantasy series loved by fans all around the world for many years ‘Berserk’! The quality of this figure is almost unprecedented for an action figure!! ▲ It must be rather painful to hold such a thorny looking sword! 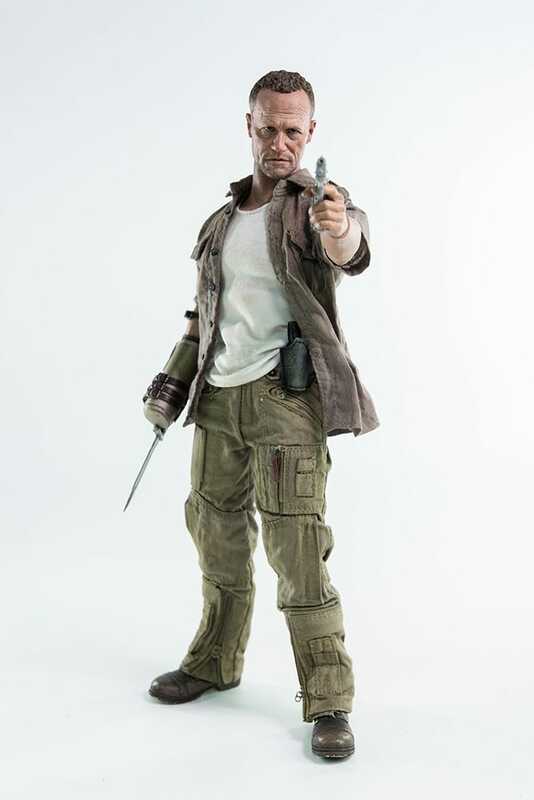 The figure is an impressive 1/6th scale figure that stands approximately 355mm in height allowing you to really enjoy the details that have been put into the sculpt and paintwork! 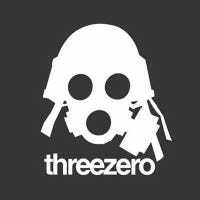 But who exactly are threezero? 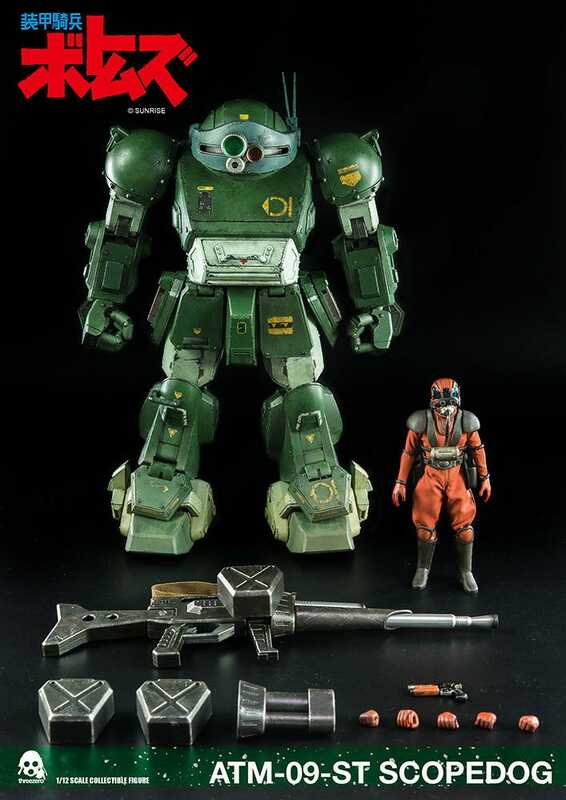 Here are the threezero products currently up for preorder! Anyway, let’s get back to Skull Knight! The above image is a GIF showing the ON and OFF modes in a loop – the eyes don’t actually flash on and off like this, they stay on as you’d expect! In addition, a variety of interchangeable hand parts are also included to create all sorts of different poses from the series, or even your own original poses! ▲ Even the little fingers are so amazingly detailed! He also features some rather out of the ordinary articulation! His mouth can be opened as if he was going to eat the ‘Egg of the Supreme Ruler’! The actual Egg isn’t included, but you can easily picture the scene just with his mouth being open!! ▲I like posing them back-to-back! 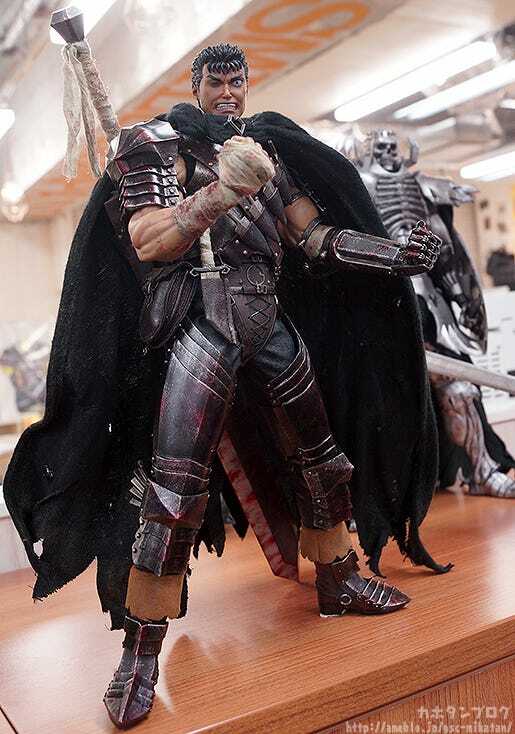 Be sure to add the mysterious knight that helps Guts to your collection! If you are in Japan you can preorder this product from the GOODSMILE ONLINE SHOP. 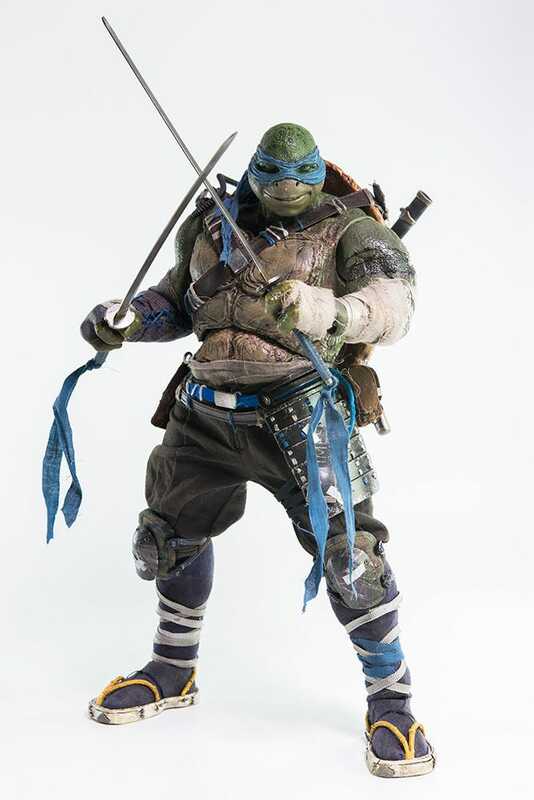 Those in other countries should check out the threezero store for more details! Don’t miss out! 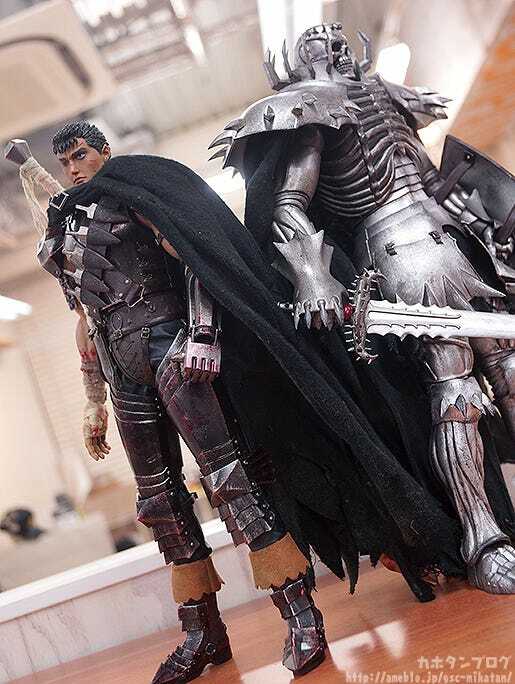 You can also get your hands on the rerelease of the Guts (Black Swordsman) figure at the same time!! 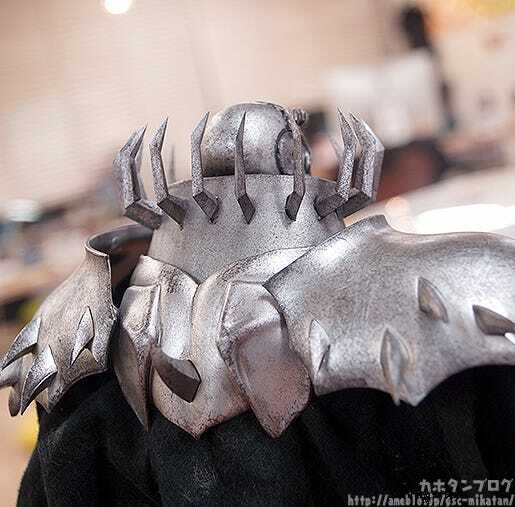 You can keep up with threezero products on their Facebook Page!